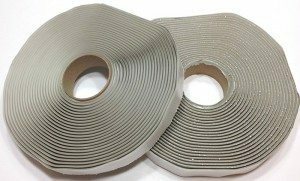 Are you looking for heavy-duty putty tape to carry out a variety of RV projects and repairs? The 1 & 2 Inch RV Putty Tape & Sealant from Hemet Valley RV in California is designed to be utilized around windows and doors, under moldings, on top of metal seams, and more. You can use it to waterproof your RV, and because it is pliable and will not harden, it will prove durable and last you for a long time. Contact us today to order putty tape.